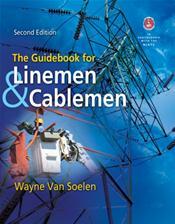 The Guidebook for Linemen and Cablemen, 2nd Edition is the much needed solution for anyone working on or training to work on electrical utility circuits. Packaged as a convenient, single-volume reference guide on the operation of electrical utility systems, this book will give you what other resources won't: practical coverage of the equipment and situations that power line workers are exposed to on a daily basis, with a focus on ensuring concepts are meaningful and applicable. This book also pays special attention to the order in which topics are addressed; simple concepts are explained first, and the book then builds upon these fundamentals to explain more complex theories, thereby setting a strong foundation for clearly understanding key rules and regulations. This text been updated to include the most current industry information available, including applications of recent technology. This book also contains in-depth exploration of the mechanical aspects of the job, such as working with rigging, trucks, stringing wire, and tree felling. The need for safety and training is highlighted throughout the book, resulting in a powerful resource for linemen, cable men, foremen, and others associated with the transmission and distribution departments of electric utility companies.